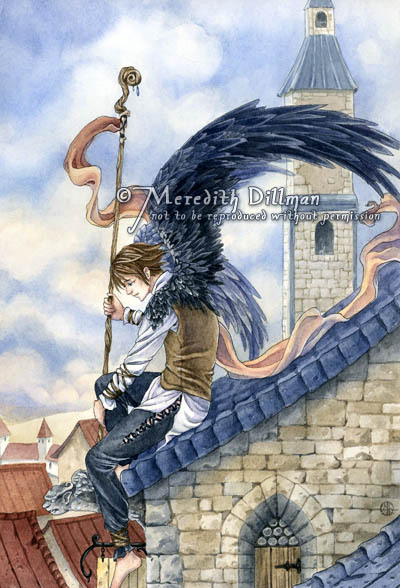 Meredith Dillman is an artist and illustrator living in Minnesota. Most of her paintings are created with watercolor. 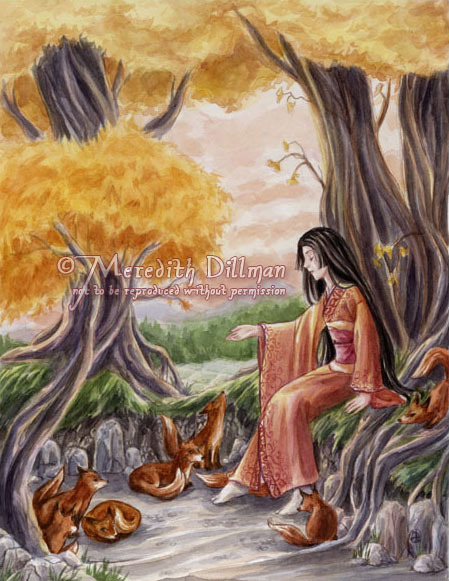 She enjoys painting fairies, woodland creatures and other fantasy and medieval themes and has been drawing such since childhood. She is inspired by Pre-Raphaelite artists, Japanese comics, and turn-of-the-century book illustration. Meredith holds a BFA degree in Illustration from Minnesota State University. Her work has been published in RPG games and licensed for products and collectables. She recently illustrated the book Watercolor Made Easy: Fairies and Fantasy from Walter Foster. 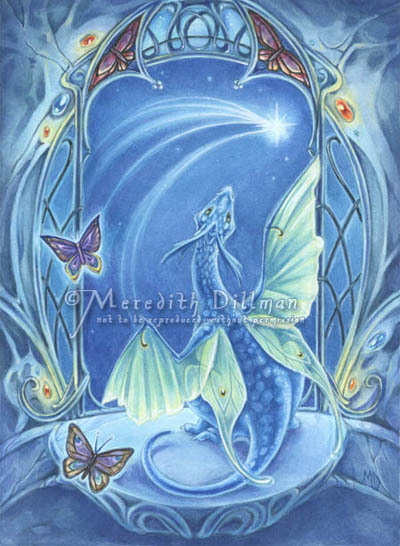 Visit Meredith Dillman's web site for more.